Draft: 2013, San Diego Padres, 6th rd. Attended Tates Creek (KY) High School and the University of Kentucky...Was named Gatorade Kentucky High School Player of the Year in 2010...Went 6-0 with a 1.12 ERA and 76 strikeouts in 47.1 innings pitched during his senior season at Kentucky in 2013...set the Wildcats' single-season save record in 2013 with 23 saves. Made Washington's Opening Day roster and had four stints with the Nationals, going 0-2 with a 5.68 ERA (13er, 19.0ip)...Appeared in 20 games, his most since 2015 when he made 48 appearances for Los Angeles-AL...Went 1-1 with three saves and a 3.68 ERA (12er, 29.1ip) in 28 games with triple-A Syracuse...Struck out 38 batters over his 29.1 innings with triple-A (11.7so/9.0ip)...Finished the triple-A season, allowing one earned run in 13.2 innings (0.66 ERA), while striking out 14 batters compared to just two walks. Spent the majority of the 2017 season with Triple-A Syracuse...Enjoyed two Major League stints in 2017...Went 4-for-4 in save opportunities while with Triple-A Syracuse...Surrendered just two home runs in 37.1 innings pitched. In his first season in Washington's system, began the season at Triple-A Syracuse but also spent time with the GCL Nationals and short-season Single-A Auburn...Went 3-4 with a 4.57 ERA in 35 Minor League games between the three stops...Was recalled on Sept. 2 for first MLB assignment of season... Allowed an earned run in his second appearance (9/7 vs. ATL)...After Sept. 12, recorded a 0.00 ERA (4.1 IP), four strikeouts, one walk and four hits in seven appearances...Did not allow a baserunner in his final two appearances (1.0 IP)...Earned a hold on Oct. 2 vs. MIA (0.2 IP). 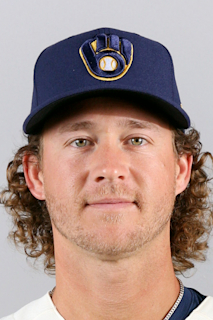 Made his Major League debut on June 14 vs. Oakland (1.0 IP, SO) after spending time at Double-A Arkansas and Triple-A Salt Lake...Did not allow a run in his first nine games (1-0, 3 holds) at the big league level...From June 14-Aug. 25, went 2-1 with eight holds and 1.65 ERA (6 ER/32.2 IP) in 32 games...Recorded 14 holds in 48 Major League games...Despite being a rookie, 29 of his 48 appearances were in "close and late" situations (plate appearances in the seventh inning or later with the batting team tied, ahead by one, or the tying run at least on deck, according to BaseballReference.com)...Surrendered just two home runs all season...Was one of 14 MLB pitchers to throw at least 40.0 innings and allow two or fewer home runs...At 96.1 miles per hour, his fastball ranked as the seventh-fastest among qualified MLB rookie relievers, according to FanGraphs.com...Posted a 57 percent groundball rate in 48 MLB appearances (MLB average was 46% in 2015)...Was very tough on right-handed hitters, holding them to a .214/.262/.286 line in 108 plate appearances...Went 1-0 with eight saves and a 2.25 ERA in 25 games between Arkansas and Salt Lake...Was named a Texas League mid-season All-Star...Took part in his first Major League Spring Training. Began the season in San Diego's chain before being acquired by LAA on July 19...Recorded 16 saves in 29 games for Single-A Lake Elsinore and was promoted to Double-A San Antonio prior to the trade. Reported to short-season Single-A Eugene following the 2013 First-Year Player Draft...Appeared in four games before being promoted to Single-A Fort Wayne for the remaInder of the season...Went 2-2 with four saves and a 2.50 ERA in 31 games in his first professional season. February 13, 2019 Washington Nationals traded RHP Trevor Gott to San Francisco Giants for cash. February 8, 2019 Washington Nationals designated RHP Trevor Gott for assignment. October 1, 2018 Washington Nationals recalled RHP Trevor Gott from Fresno Grizzlies. August 18, 2018 Washington Nationals optioned Trevor Gott to Syracuse Chiefs. August 14, 2018 Washington Nationals recalled Trevor Gott from Syracuse Chiefs. August 9, 2018 Syracuse Chiefs activated RHP Trevor Gott from the 7-day disabled list. August 2, 2018 Syracuse Chiefs placed RHP Trevor Gott on the 7-day disabled list. July 16, 2018 Washington Nationals optioned RHP Trevor Gott to Syracuse Chiefs. July 15, 2018 Washington Nationals recalled Trevor Gott from Syracuse Chiefs. July 5, 2018 Syracuse Chiefs activated RHP Trevor Gott from the temporarily inactive list. July 2, 2018 Syracuse Chiefs placed RHP Trevor Gott on the temporarily inactive list. June 13, 2018 Washington Nationals optioned RHP Trevor Gott to Syracuse Chiefs. June 10, 2018 Washington Nationals recalled Trevor Gott from Syracuse Chiefs. May 31, 2018 Washington Nationals optioned RHP Trevor Gott to Syracuse Chiefs. April 21, 2018 Washington Nationals recalled Trevor Gott from Syracuse Chiefs. April 16, 2018 Washington Nationals optioned RHP Trevor Gott to Syracuse Chiefs. October 13, 2017 Trevor Gott roster status changed by Washington Nationals. October 6, 2017 Washington Nationals reassigned RHP Trevor Gott to the minor leagues. October 2, 2017 Washington Nationals recalled RHP Trevor Gott from Syracuse Chiefs. July 24, 2017 Syracuse Chiefs placed RHP Trevor Gott on the 7-day disabled list retroactive to July 22, 2017. July 18, 2017 Washington Nationals optioned RHP Trevor Gott to Syracuse Chiefs. July 18, 2017 Washington Nationals reassigned RHP Trevor Gott to the minor leagues. July 14, 2017 Washington Nationals recalled Trevor Gott from Syracuse Chiefs. June 15, 2017 Washington Nationals optioned RHP Trevor Gott to Syracuse Chiefs. June 12, 2017 Washington Nationals recalled Trevor Gott from Syracuse Chiefs. March 29, 2017 Washington Nationals optioned RHP Trevor Gott to Syracuse Chiefs. October 14, 2016 Trevor Gott roster status changed by Washington Nationals. October 7, 2016 Washington Nationals reassigned RHP Trevor Gott to the minor leagues. September 2, 2016 Washington Nationals recalled RHP Trevor Gott from Syracuse Chiefs. August 1, 2016 Syracuse Chiefs activated RHP Trevor Gott from the 7-day disabled list. July 27, 2016 Syracuse Chiefs sent RHP Trevor Gott on a rehab assignment to Auburn Doubledays. July 25, 2016 Syracuse Chiefs sent RHP Trevor Gott on a rehab assignment to GCL Nationals. June 6, 2016 Syracuse Chiefs placed RHP Trevor Gott on the 7-day disabled list retroactive to June 5, 2016. April 1, 2016 Washington Nationals optioned RHP Trevor Gott to Syracuse Chiefs. December 10, 2015 Washington Nationals traded cash and 3B Yunel Escobar to Los Angeles Angels for RHP Michael Brady and RHP Trevor Gott. June 13, 2015 Los Angeles Angels selected the contract of RHP Trevor Gott from Salt Lake Bees. May 24, 2015 RHP Trevor Gott assigned to Salt Lake Bees from Arkansas Travelers. December 23, 2014 Los Angeles Angels invited non-roster RHP Trevor Gott to spring training. July 20, 2014 RHP Trevor Gott assigned to Arkansas Travelers. June 18, 2014 RHP Trevor Gott assigned to San Antonio Missions from Lake Elsinore Storm. April 3, 2014 RHP Trevor Gott assigned to Lake Elsinore Storm from Fort Wayne TinCaps. March 2, 2014 RHP Trevor Gott assigned to San Diego Padres. June 26, 2013 RHP Trevor Gott assigned to Fort Wayne TinCaps from Eugene Emeralds. June 12, 2013 Trevor Gott assigned to Eugene Emeralds. June 11, 2013 San Diego Padres signed RHP Trevor Gott.